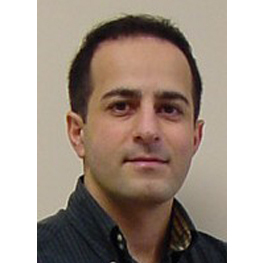 Dr. Behrad Khamesee is a Professor in the Department of Mechanical and Mechatronics Engineering, University of Waterloo, Canada. 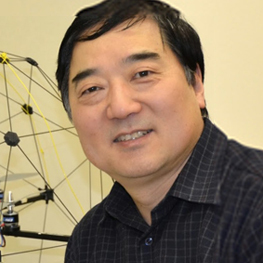 He is the director of MagLev Microrobotics Laboratory and an integral member of the Waterloo Center for Automotive Research (WATCAR) at the University of Waterloo. His research interests and expertise include design, modeling, and control of advanced mechatronics systems, particularly microrobotic magnetic levitation and semi-active electromagnetic dampers for vehicles. His research has resulted in 90 refereed Journal and conference papers, and his research group is a recipient of several best paper awards. His research group developed the world’s smallest magnetically-levitated microrobot which is equipped with a gripper. This achievement was featured in several news releases in media such as the Economist magazine (Science and Technology: Look, no wires) April 2009 issue. 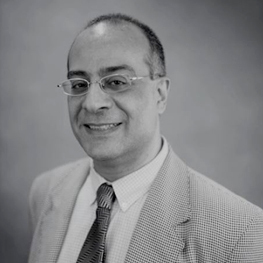 Dr. Khamesee is involved in conferences program committees, has organized several sessions at international conferences, and is a technical reviewer for several IEEE Journals. Youmin Zhang is a Professor at the Department of Mechanical, Industrial and Aerospace Engineering and the Concordia Institute of Aerospace Design and Innovation, Concordia University, Montreal, Quebec, Canada. His current research interests include condition monitoring, health management, Fault Detection and Diagnosis (FDD), and Fault-Tolerant Control Systems (FTCS), cooperative Guidance, Navigation, and Control (GNC) of single and multiple unmanned aerial/space/ground/surface vehicles and their applications to forest fires, pipelines, power lines, environment, natural resources and natural disasters monitoring, detection, and protection by combining with remote sensing techniques; dynamic systems modeling, estimation, identification, advanced control techniques and signal processing techniques for diagnosis, prognosis, and health management of safety-critical systems, renewable energy systems and smart grids, and intelligent manufacturing processes. He has authored 4 books, over 460 journal and conference papers, and book chapters. Dr. Zhang is a Fellow of Canadian Society of Mechanical Engineering (CSME), a Senior Member of the American Institute of Aeronautics and Astronautics (AIAA) and the Institute of Electrical and Electronics Engineers (IEEE), and a member of the Technical Committee (TC) for several scientific societies, including the International Federation of Automatic Control (IFAC) Technical Committee on Fault Detection, Supervision and Safety for Technical Processes, the AIAA Infotech@Aerospace Program Committee on Unmanned Systems, the IEEE Robotics and Automation Society TC on Aerial Robotics and Unmanned Aerial Vehicles, the ASME/IEEE TC on Mechatronics and Embedded Systems and Applications, and Executive/Steering Committee of the International Conference on Unmanned Aircraft Systems (ICUAS) Association and International Symposium on Autonomous Systems (ISAS). He has been invited to deliver plenary and tutorial talks at international conferences/workshops and research seminars worldwide for over 90 times. 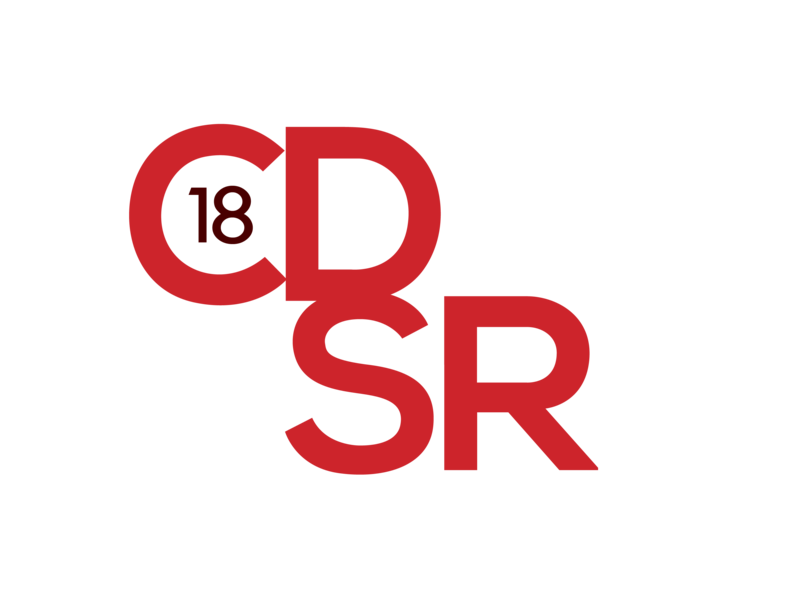 He is an Editor-at-Large of the Journal of Intelligent & Robotic Systems, and an Editorial Board Member/Associate Editor of several other international journals (including three newly launched journals on Unmanned Systems). He has served as General Chair, Program Chair, Program Vice Chair, and IPC Member of many international conferences, including the General Chair of the 10th International Conference on Intelligent Unmanned Systems (ICIUS) in 2014, Montreal, Canada, Program Chair of the International Conference on Unmanned Aircraft Systems (ICUAS) in 2014, Orlando, FL, USA, one of General Chairs of the ICUAS in 2015, Denver, USA, a Co-General Chair of the ICIUS 2016 held at Xian, China, Program Chair of the ICUAS 2017 held at Miami, USA, a General Co-Chair of the ISAS 2018 held at Chongqing, China, and General Chair of the ICUAS 2018 to held at Dallas, USA in June 12-15, 2018. More detailed information can be found at http://users.encs.concordia.ca/~ymzhang/. 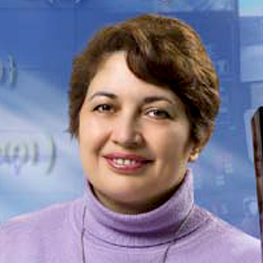 Naira Hovakimyan received her MS degree in Theoretical Mechanics and Applied Mathematics in 1988 from Yerevan State University in Armenia. She got her Ph.D. in Physics and Mathematics in 1992, in Moscow, from the Institute of Applied Mathematics of Russian Academy of Sciences, majoring in optimal control and differential games. Before joining the faculty of UIUC in 2008, she spent time as a research scientist at Stuttgart University in Germany, at INRIA in France, at the Georgia Institute of Technology, and she was on faculty of Aerospace and Ocean Engineering of Virginia Tech from 2003 to 2008. She is currently a W. Grafton and Lillian B. Wilkins Professor of Mechanical Science and Engineering at UIUC. In 2015 she was named inaugural director for Intelligent Robotics Lab of CSL at UIUC. She has co-authored two books, six patents and more than 350 refereed publications. She was the recipient of the SICE International scholarship for the best paper of a young investigator in the VII ISDG Symposium (Japan, 1996), the 2011 recipient of AIAA Mechanics and Control of Flight award, the 2015 recipient of SWE Achievement Award, and the 2017 recipient of IEEE CSS Award for Technical Excellence in Aerospace Controls. In 2014 she was awarded the Humboldt prize for her lifetime achievements. In 2015 she was awarded the UIUC Engineering Council award for Excellence in Advising. She is a Fellow and life member of AIAA, a Senior Member of IEEE, and a member of SIAM, AMS, SWE, ASME and ISDG. She is cofounder and chief scientist of IntelinAir. Her work in robotics for elderly care was featured in the New York Times, on Fox TV and CNBC. Her research interests are in control and optimization, autonomous systems, neural networks, game theory and their applications in aerospace, robotics, mechanical, agricultural, electrical, petroleum, biomedical engineering and elderly care. Nariman Sepehri, FCAE, FASME, FCSME, is a Professor of Mechanical Engineering at the University of Manitoba, Winnipeg, Canada, and has been the Associate Dean (Undergraduate Programs) since 2010. He received his Ph.D. degree from the University of British Columbia. He has published over 130 journal papers, is holder of 7 patents (2 pending) and co-author of a textbook on Hydrostatic Actuation by Wiley. He has allocated a good portion of his time to serve technical societies, most notably as chair of the ASME Fluid Power Systems and Technology Division and, co-founder and chair of IEEE Joint robotics, control, instrumentation and measurement Winnipeg Chapter. He has been involved in the organization of over 60 international conferences and has served as an Associate Editor of over 10 journals including ASME Journals of Dynamics Systems, Measurement and Control and IFAC Control Engineering Practice. He has also developed undergraduate courses “Mechatronics Systems Design”, and “Hydraulic Fluid Power” as well as graduate-level courses “System Design for Robots and Teleoperators”, and “Modeling and Simulations”.